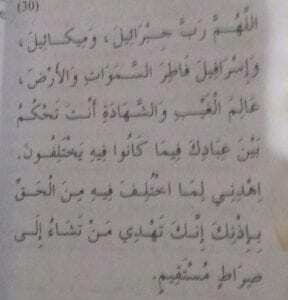 This supplication contains At-Tawassul [i.e. seeking a means of getting close to Allaah or seeking what one desires by way of affirming and believing] in Allaah’s absolute Lordship over everything and his specific Lordship over these Angels, whom He has given the task [and the means of giving life]; because Jibraa’eel [alayhis-salaam] is given the task to convey the revelation [to the Prophets and Messengers], which is a means of life for the hearts and souls [i.e. guidance to the straight path]; Meekaa’eel [alayhis-salaam] is given the task of directing the rain drops [wherever Allaah wills], which gives life to the earth and the vegetation, and is a source of life for the animals; and Israa’feel [alayhis salaam] is given the task of blowing the trumpet by way of which the creation will be brought back to life again after death. 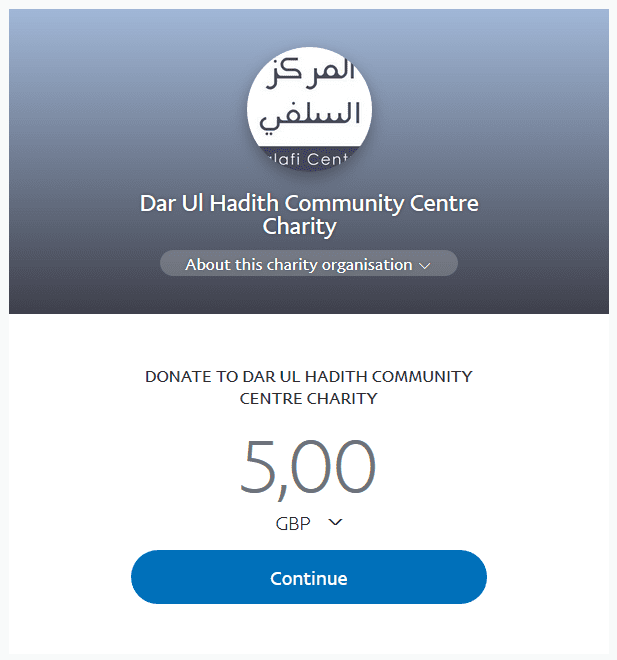 [Likewise seeking a means of closeness to Allaah or seeking what one desires by affirming and believing that Allaah] is the Originator of the heavens and the earth – the one who created and brought them into existence, and [affirming and believing in the fact that] by way of His Knowledge, He is the Knower of the seen and unseen; and that Allaah [glorified be He and free is He from all imperfections] is the one who arbitrates between His servants in that which they differ, and [asking Him to] guide us to the truth in that which they differ. 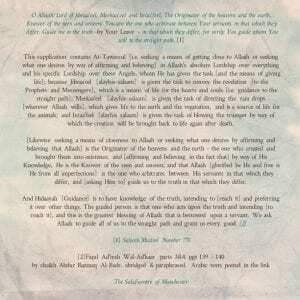 And Hidaayah [Guidance] is to have knowledge of the truth, intending to [reach it] and preferring it over other things. 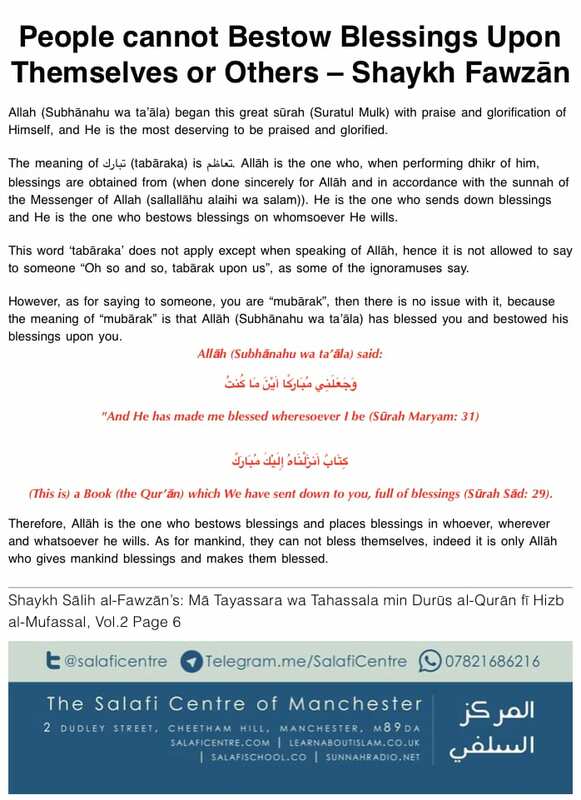 The guided person is that one who acts upon the truth and intending [to reach it], and this is the greatest blessing of Allaah that is bestowed upon a servant. We ask Allaah to guide all of us to the straight path and grant us every good. 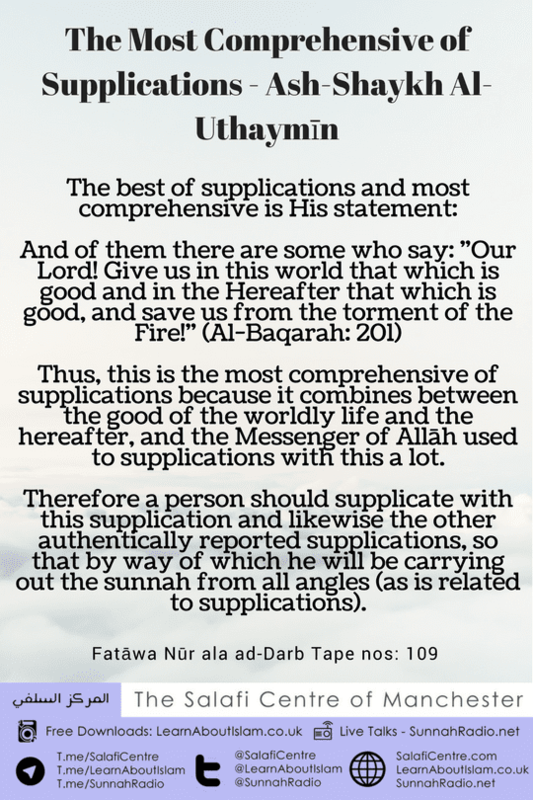 Thus, this is the most comprehensive of supplications because it combines between the good of the worldly life and the hereafter, and the Messenger of Allāh used to supplications with this a lot. 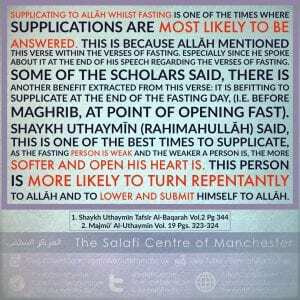 Therefore a person should supplicate with this supplication and likewise the other authentically reported supplications, so that by way of which he will be carrying out the sunnah from all angles (as is related to supplications). 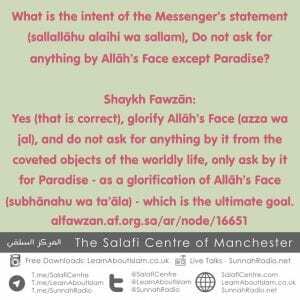 What is the intent of the Messenger’s statement (sallallāhu alaihi wa sallam), Do not ask for anything by Allāh’s Face except Paradise? Seek Refuge From 3 Evils! Oh Allah, remove from me evil manners, [evil] desires and diseases.